Video marketing has successfully insinuated itself in almost every online experience and provides the perfect complement to content marketing. Regardless if the video is informative, comedic, or somewhere in between, videos are going to play a vital role in any brand’s future marketing strategy. Demand Metric recently released a report that 70 percent of marketers are now using videos as part of their marketing strategies. Additionally, 82 percent of marketers surveyed indicated that video content marketing has proven successful when implemented. Given these figures, there is plenty of reasons to consider implementing video content marketing in your current marketing strategy. If you need any more proof of how essential video marketing has become to your marketing strategy, just check out the infographic below. Whether you’re going to implement video marketing in your current strategy or in the future, make sure to follow these essentials to make sure your video marketing achieves optimal success. Before you shoot your first take, begin by thinking about what you want to accomplish with your videos. Are you looking to boost awareness of one of your products or services? Are you trying to use the video to recruit talent? Or, are you trying to increase your brand awareness? Whatever your goals are, make sure you define them so that you can accurately measure to see if your video marketing efforts have succeeded. Along with your goals you’re going to have to define what counts as a success? Is it how many times your video has been viewed? Or will it be based on an increased number of subscribers to your video channel? To ensure that your video is relevant, think about the audience you wish to reach when you’re developing your marketing strategy. Don’t overlook the opportunity to get creative in order to reach your audience. Consider for a moment, that you’ve been confronted with something you’ve never heard of. Let’s say, you’re making a dish and it requires you to temper an egg. A cooking site or blog is your best friend right? Absolutely, but a video can really show you what the technique is used for and how to do it properly without scrambling the egg. As Michael Litt, founder of VidYard says, “video is the next best thing to being in person.” That’s because it provides us with the feeling of being there and experiencing something first hand, even if, it’s still just a virtual experience. Regardless of how well your video is acted and produced, it may fail to yield the expected results if you don’t include a CTA (call-to-action). Think about the goals you defined for your video marketing strategy, how do you plan to achieve those goals? In order to achieve the most impact with your videos and in the process meeting your goals, including a call-to-action can help you maximize that impact. Make sure you include both a visual and audible call to action to help achieve this. Finally, when distributing your video, make sure to distribute it to the networks that will reach your target audience the best. Additionally, make sure that you don’t overlook social media, even B2B customers use YouTube and other social media platforms when doing research on products or services. Additionally, make sure the video is optimized for mobile viewing, as over 50 percent of internet traffic now comes from a mobile source. What do you feel is essential to making your video marketing efforts a success? Need help getting your video marketing off the ground? Shoot us an email or give us a call, we’d be glad to discuss with you how to achieve your video marketing goals. Penguin 2.0 is finally here! 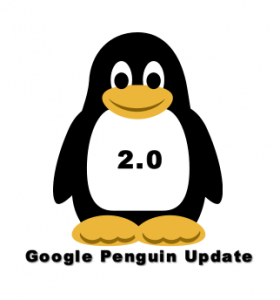 As Google’s latest attempt to combat spammy websites and black hat SEO tactics, this algorithmic update is said to be more comprehensive than the first Penguin update. However, unlike its Panda counterpart, Penguin 2.0 will focus primarily on backlink patterns, anchor text and poor link building practices. As I mentioned back in April, content marketing has become the new buzz phrase in the SEO industry. And while some SEOs will argue that content marketing is no new SEO tactic, it certainly is the future. Gone are the days of free backlinks. Content marketing forces SEOs to earn quality backlinks through great content and social networking. Therefore, the future of SEO relies heavily on the ability to produce quality content as well as the promotion of this content. Content can be in the form of text, video, infographics, or whatever else you can produce and put on your site. For instance, video marketing is a perfect example of quality content and it’s extremely under utilized by small businesses. PR professionals are used to generating organic search and referral traffic. Unlike traditional SEO tactics, online PR is about creating quality content for the media and blogs in order to drive traffic to a website. Press releases can build domain authority through the acquisition of backlinks from distribution services and more. The press release can also increase brand awareness, sales and thought leadership. In a post Penguin 2.0 world, traditional link building tactics will begin to fail and online PR will thrive. If you’re not already using online PR, you better get familiar. After Penguin 1.0, many SEOs turned to guest blogging as an alternative method for link building. Why? Because it’s very easy to add a link and anchor text to the bios below guest authored posts. As a result, there have been an overwhelming amount of links from guest blogging. And Google has begun to take notice. However, guest blogging has more potential than just link building. It can also be a great branding tool for any company or organization. As SEOs, we have to become more selective about the guest blogs we choose. We should always avoid blogs that have a low domain authority and ones that accept all guest posts. SEOs should also switch up author bios. Focus less on keywords and more on branded anchor text. When possible, include the author’s social profiles and their company website. This will allow Google to recognize a guest blog post as authentic. Lastly, publish content that is targeted and relevant to that particular audience and you will save yourself from the inevitable iron fist known as Google’s Search Quality team. Long-tail keywords will become the new way to gain search traffic post-Penguin. Simply put, they are far less competitive than short-tail keywords and they are fairly easier to optimize on landing pages. With Penguin 2.0 forcing SEOs to focus on the customer rather than search engine rankings, long-tail keyword targeting is the key to meeting exactly what the customer is looking for. What’s more is that long-tail keywords produce highly relevant results, which can translate into high conversion rates for folks on the top of search engine results. Most importantly, the world has gone mobile. Think about how many people use iPhone’s Siri or Android’s Google Now for information. And when they talk into their phones they’re asking questions, not stating keywords. In essence, search is becoming conversational, which means SEOs need to start focusing more on long-tail keywords. In conclusion, Penguin 2.0 is just another step in a positive direction. Rather than freaking out, embrace the chaos. Like every algorithmic update prior, Google stands by its core messages: create a website that users will love and write great content. If you can do that, Cutts assures us that Google will work hard to recognize it. Fear no more! SEO will always be a valuable tool to any business—that is, if it’s practiced correctly. 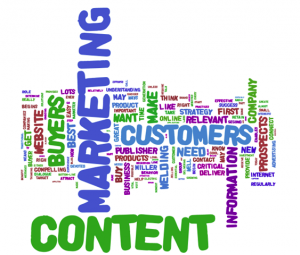 Content marketing has become the new buzz phrase in the digital space. It refers to the creation and distribution of media and published content in order to attract and engage a clearly defined target audience. Most website owners understand the importance of unique web content. However, producing unique content that not only captures your audience’s attention, but also holds that attention, converting folks into profitable customers is still a budding concept. While most ecommerce websites do not rely heavily on content, they do use it to promote return visitors and customer loyalty. 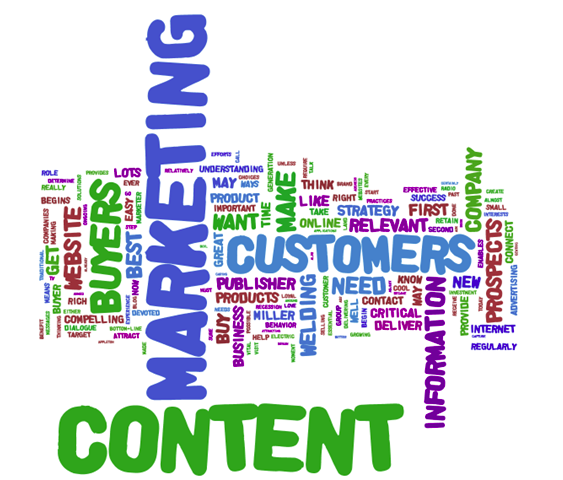 The idea of content marketing is that you can communicate with potential customers without hard selling. Instead, you have a conversation with customers, giving them the information they need to make their own purchase decisions. In the process, you deliver a valuable message to customers who should reward you with their business and loyalty. The nuts and bolts of content marketing include social media, video and web. You can develop an effective content marketing strategy by using, what we call, the “three C’s”: conversation, creativity and consistency. First things first, conversational content is jargon-free. Customers do not need to understand your industry, therefore they do not want to decipher your lingo. You should always write in a style that is straightforward and to-the-point. The purpose of having a conversation is to engage in dialogue. Your content should stimulate a response from customers. Do this by asking your audience questions that will make them interact with you on a personal level. This will be rewarding to both you and the customer. As a PR and SEO specialist, I get to wear many hats. One of my favorite hats is being able to get creative. 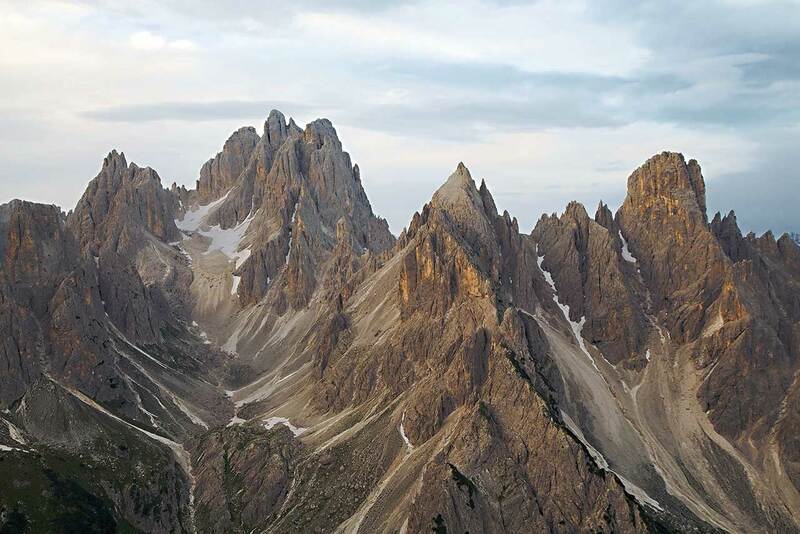 Content marketing is the art of storytelling. The purpose of telling a story is to get the customer to take action. Unlike traditional advertising or sales, marketing is about soft action, like visiting your website. Keep in mind, most customers visit a website for a particular reason. And when they do, they expect to be engaged in a business conversation (refer to C1). Therefore, if you can be entertaining and provide value, you can build customer loyalty, ultimately keeping customers coming back for more. Probably the most difficult of the three C’s is being consistent. Constantly producing quality content while still meeting performance goals can be quite a challenge. We know. However, it’s important to develop a schedule that dictates when you should produce and publish content. We refer to this as an editorial calendar. An editorial calendar will hold you and your team accountable and ensure the work gets done. In addition to increased online visibility and web traffic, the biggest benefit of being consistent is that you can establish yourself as an industry thought leader. And keeping your content fresh and consistent is the quickest way to portray yourself as an expert in your niche. Content marketing is taking the digital world by storm. Don’t be left behind; educate yourself on the benefits of using content marketing. Become familiar with its tactics and most importantly, be consistent!